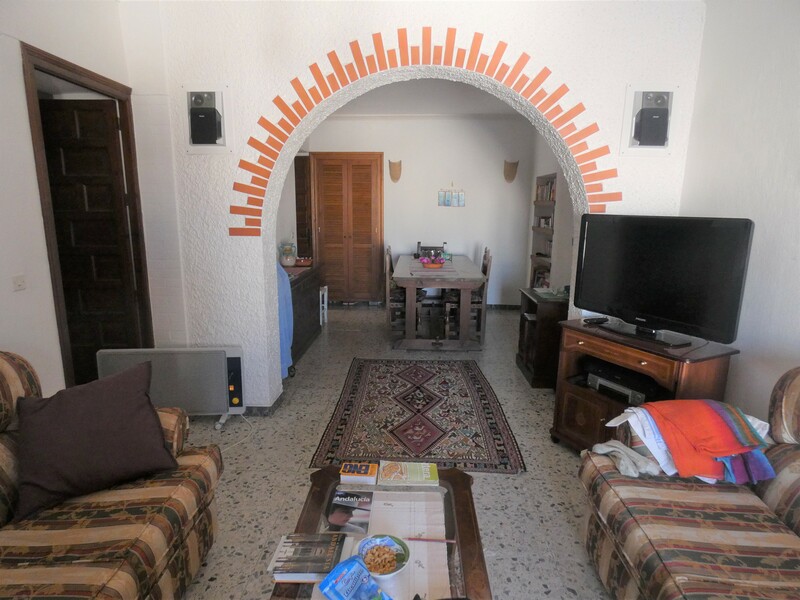 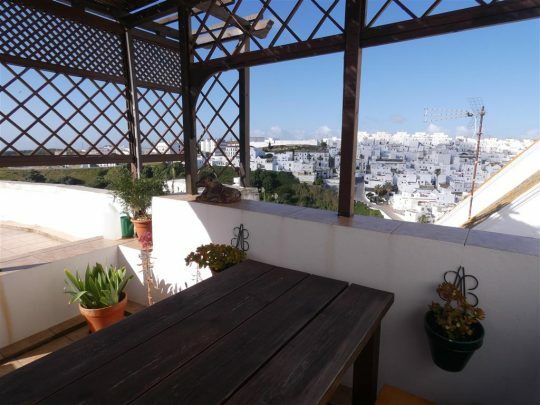 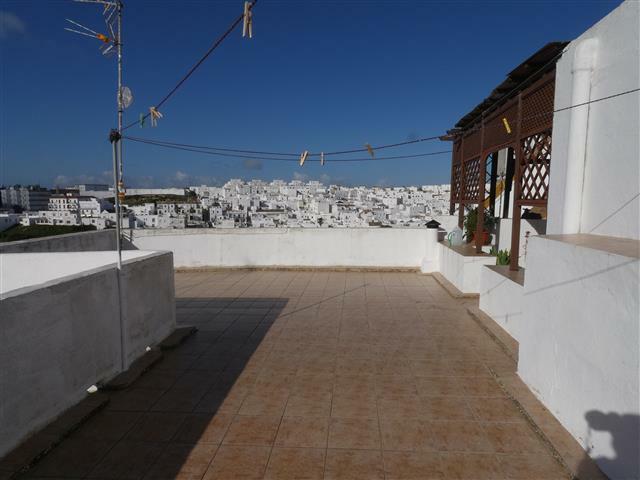 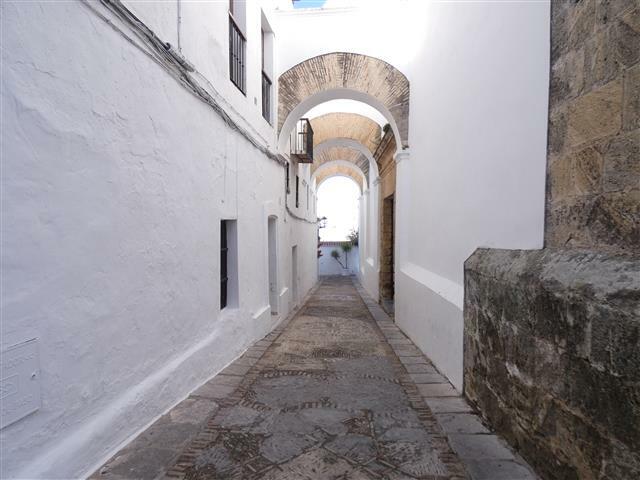 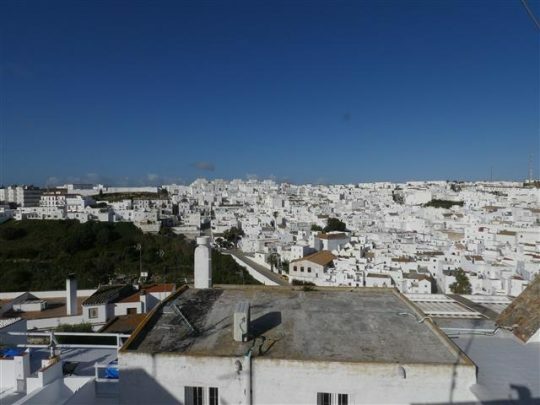 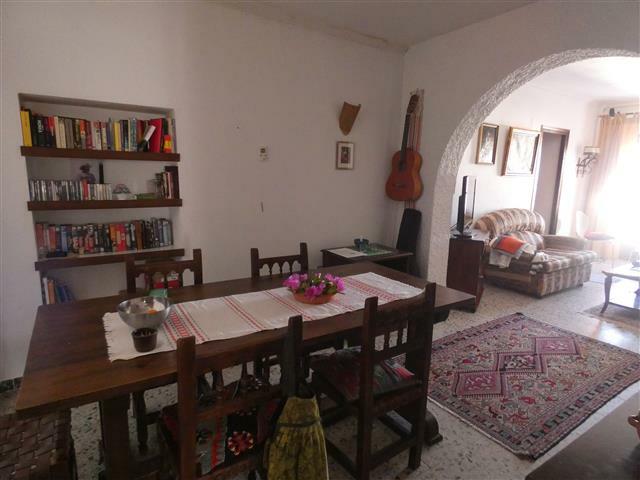 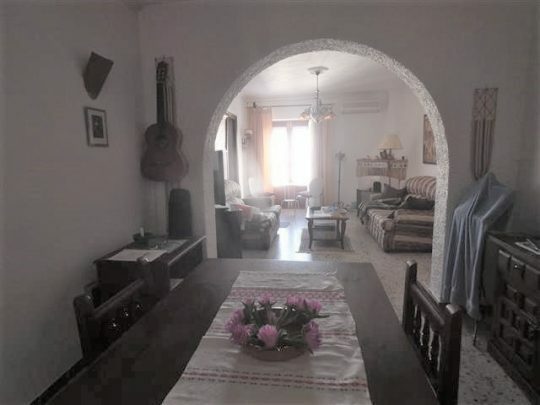 Located in one of the most photographed streets in Vejer is a lovely 2/3 bedroom independent house with wonderful and spacious rooftop terrace offering views over the town and to Africa. Entered from the quiet cobbled pedestrian street there is a staircase that leads up to the first floor. 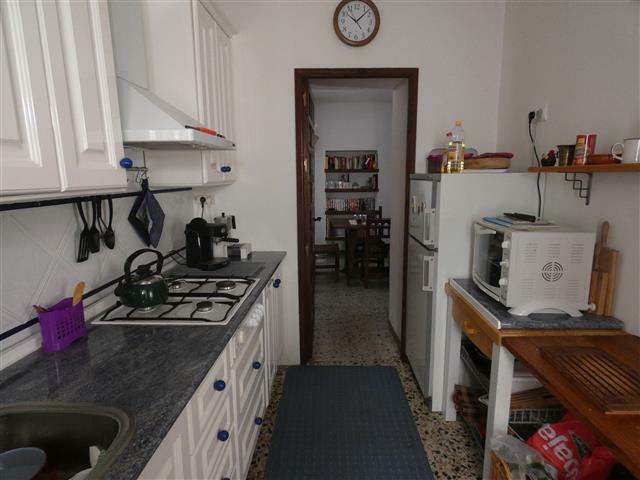 To the right is a fully fitted galley kitchen leading on to the large living room with dining area and benefits include a fireplace and airconditioning. 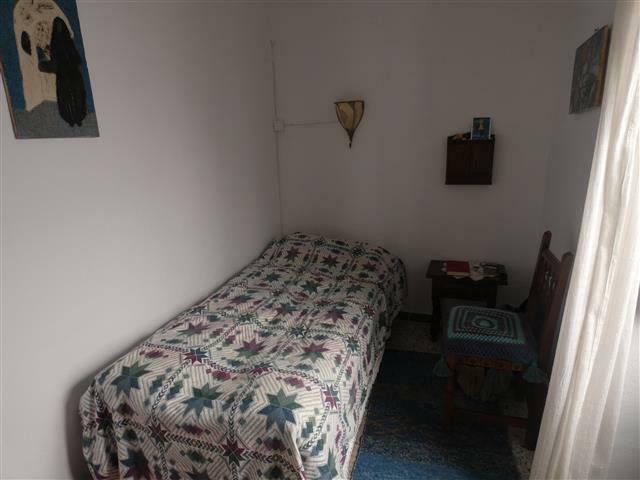 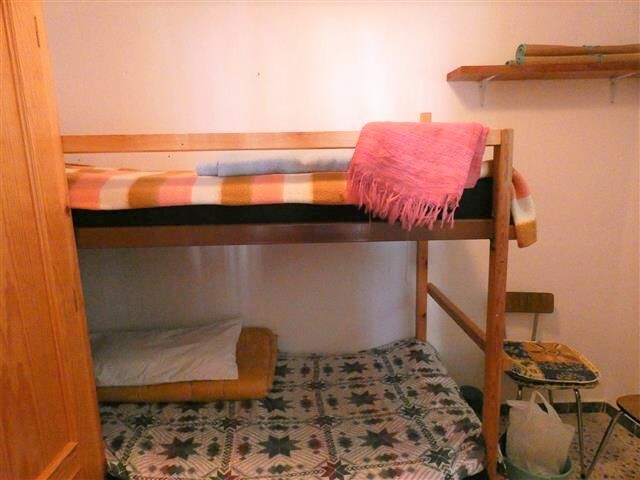 Off the living area is a double bedroom. 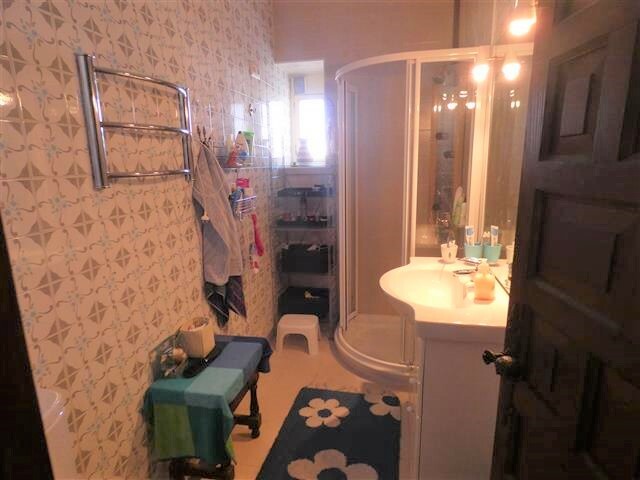 To the left of the staircase that leads to the first floor is a single bedroom and the bathroom. A staircase goes up to the second floor where there is a utility room, toilet and a single bedroom/study area. 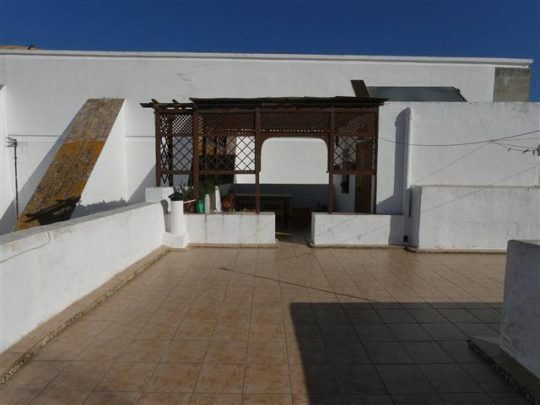 From here you access the marvellous rooftop terrace which has a covered dining area and plenty of space for sunbathing.